Across the pond in the USA, it’s National Bike Month, and here at Pete’s, we’re so keen on cycling, we’ve decided to join in the celebrations right here too! After all, cycling is fun, fantastic for your health, something that all the family can do and it’s a great way to explore your surroundings. 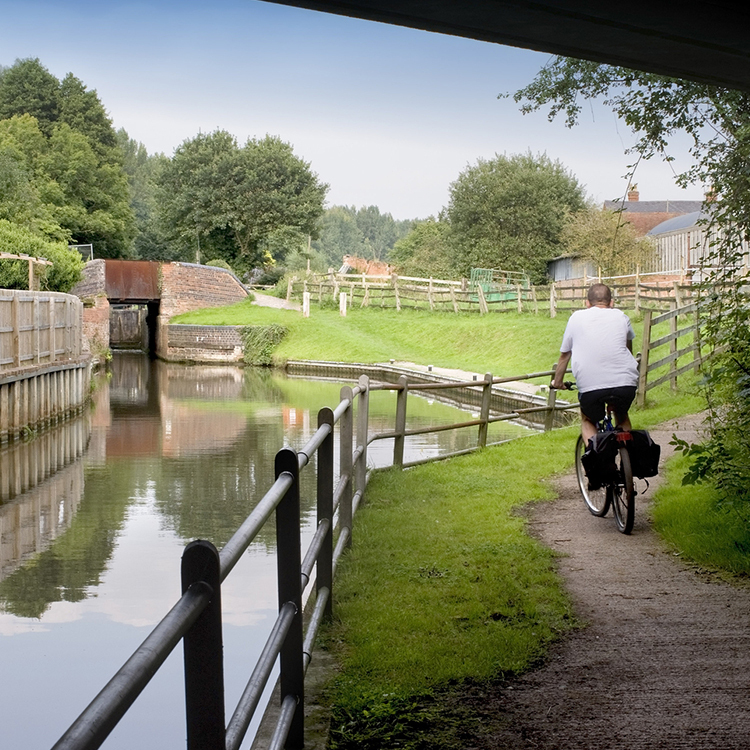 The midlands is a great place for a bike ride and we’ve uncovered just a few great Midlands cycling routes that you can try if you want to get on your bike. There’s 100 acres of scenic countryside waiting to be explored, with a 16 mile mountain bike trail for cyclists who feel a little more adventurous and you can even hire bikes there. Marvel at the wide range of different birds and other wildlife on your cycle route and don’t forget to pack a picnic to enjoy at one of the many picnic areas dotted throughout the park. Coventry Canal Greenway is another fun cycle route as it runs along Coventry Canal with its industrial heritage and there’s even an art trail. Starting at the Canal Basin, it goes all the way through Hillfields, Stoke Heath, Foleshill, Little Heath, Longford and Hawkesbury Junction and it’s beautifully scenic! Another great leisure route with two miles of traffic-free paths is the Sowe Valley cycle route which incorporates Rowley’s Green, Wood End and Henley Green and you can even go all the way up to Coombe and Binley Woods on a loop cycle route. Try it for a blissful bike ride. Speaking of Coombe, let’s not forget Coombe Country Park. Not only is this a fantastic place to visit, it’s perfect for a family bike ride or, for the more adventurous cycle enthusiast, there’s a 12 mile trail that will work those legs – but make sure you get on your mountain bike if you try it! Last but not least, we’ve picked The Greenway Trust which is ideal for not just cyclists but walkers, runners, horse riders or anyone who wants to explore an area of extraordinary beauty and nature. We hope our list of cycle routes in and around the Coventry and Warwickshire area has inspired you and don’t forget, when you’re done and feeling peckish, pop in and see us for a freshly cooked meal that will provide you with the perfect end to an invigorating day!